Whether or not you have vision problems, it is important to have your eyes checked regularly to ensure they are healthy and that there are no signs of a developing eye condition. A comprehensive eye exam will check the general health of your eyes as well as the quality of your vision. During this exam Dr. Stuart J. Burg will determine your prescription for eyeglasses, however this prescription alone is not sufficient for contact lenses. The doctor may also check for any eye health issues that could interfere with the comfort and success of contact lens wear. The contact lens industry is always developing new innovations to make contacts more comfortable, convenient and accessible. 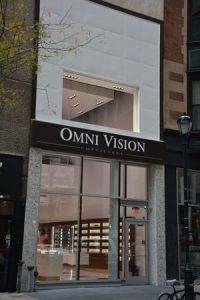 Therefore, one of the initial steps in a contact lens consultation is to discuss with our eye doctor in Philadelphia, Omni Vision Opticians some lifestyle and health considerations that could impact the type of contacts that suit you best. A tear film evaluation is performed by the doctor by putting a drop of liquid dye on your eye and then viewing your tears with a slit lamp or by placing a special strip of paper under the lid to absorb the tears to see how much moisture is produced. If your tear film is weak, our Philadelphia optometrist may recommend certain types of contact lenses that are more successful in maintaining moisture.